For a comfortable stay at Camping Parc La Clusure, the most important information is below. Upon arrival, you will receive a welcome envelope at the reception. This envelope contains all the important information about the campsite, your stay and the surrounding area. 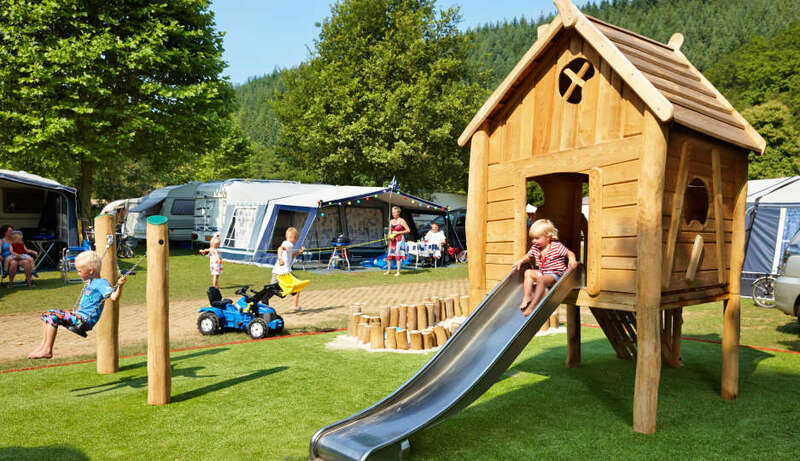 During the year, the reception of Camping Parc La Clusure has varying opening hours. During the low season, the reception is open from 09:00 to 12:00 and 13:00 to 17:00 from Monday till Friday. During the high season this will be extended to 7 days a week and the opening hours will be adjusted. The actual opening hours of the reception can be obtained on site. In case of a late arrival, you can use the bell next to the reception door. This bell is in contact with one of the employees. This employee will come to the reception to welcome you at Parc La Clusure. If you expect to arrive later than 17:00, it is desirable that you indicate this to the reception. During your stay you can visit reception for all your questions during your opening hours. At Camping Parc La Clusure can be paid in cash and with card. At the reception, guests can charge cash for a fee of € 2,50 (with minimum of € 75,00 and a maximum of € 150,00). After receiving the booking confirmation, 50% of the total amount must be paid within 2 weeks. The payment of the remaining amount must be paid 6 weeks before the date of arrival. When making a reservation within 6 weeks, the total amount due must be paid simultaneously with the reservation. At Camping Parc La Clusure, a maximum of one pet per camping pitch / rental accommodation is allowed. There are also pet-free rental accommodations and pet-free camping pitches. The cost for a pet when booking a rental accommodation is all year round € 7,50 per night (except packages). For bookings on a camping pitch, the costs are € 4,00 up to € 5,00 per night (depending on the period of the year). Day guests and visitors are allowed. They must report on arrival at the reception. The price for a day guest is € 5,00 per day per guest. If they want to stay overnight on a camping pitch they must pay the extra person fare (€ 4,00 to € 8,00 per person per night) and the tourist tax (€ 1,50 per person per night). When visitors want to stay overnight in an rental accommodation they must pay the costs for bedlinen (€ 7,00 per person) and the tourist tax (€ 1,50 per person per night). At Camping Parc La Clusure you can use free Wi-Fi. Upon arrival you will receive a unique access code at the reception. With this code you can connect to the Internet. There is provided one password per camping pitch / rental accommodation. With this code, you can switch between different devices. There can not be two devices using the code at the same time. For a charge, multiple codes can be purchased at reception. At Camping Parc La Clusure, one car is included at the price for the campingpitch/accommodation. For a second car on the pitch or next to the accommodation, an amount of € 3,00 per night is requested. The second car can also be parked for free on the parking just outside the campsite. For the Bungalennes, there is a car-free area. For the loading and unloading of the car, the car can be parked in front of the Bungalenne. Afterwards, the car must be parked on the parking space near the Bungalennes. Camping Parc La Clusure has a heated outdoor swimming pool with a small children's playground with a little slide. Around the swimming pool, there are some sun loungers where you can relax. The Bikinibar overlooks the swimming pool and the Belgian Ardennes. For a refreshing drink or a snack you can go here. During high season a lifeguard is supervising. The actual opening times are published locally.